The best deal in town for out-of-town participants will be the accommodation & meals package. The meal and accommodation package is hosted in private lodges and luxury homes at Kicking Horse Resort. We also offer additional nights (Thursday & Sunday) for $150+tax per night per room. 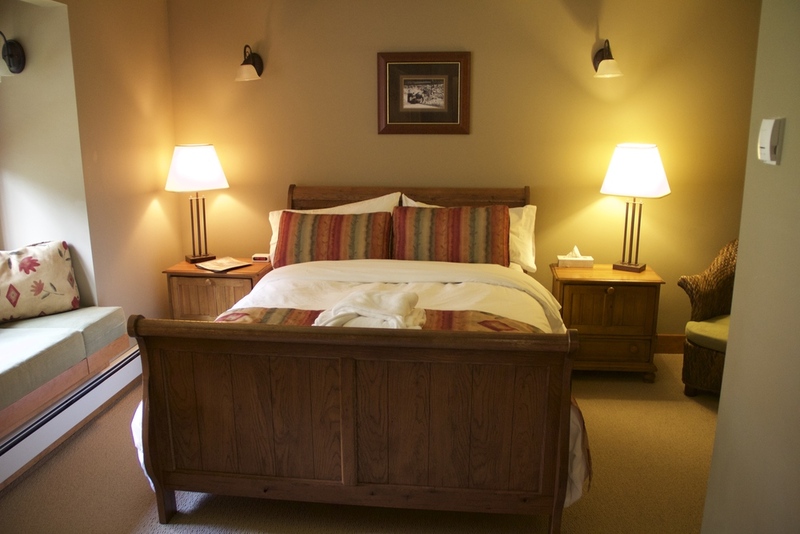 Vagabond Lodge is a luxury bed and breakfast located less than 500m from the Gondola base at Kicking Horse Resort. Vagabond Lodge has only 10 bedrooms, all located on the top floor. The main floor is a common area, including a fireplace, picture windows and a bar which guests are welcome to stock and enjoy. The lower floor has a sauna, hot tub and gear room. If you're looking to meet other runners and enjoy the best homemade food, there is no better option than Vagabond Lodge. Lush Mountain manages luxury vacation home rentals at Kicking Horse Resort. These homes are less than 500m from the gondola, have hot tubs, large common areas and luxurious beds. All rooms have ensuite bathrooms and queen or king sized beds that can be split into twin beds for double or triple occupancy. We hire a private chef to provide the breakfast service. A free shuttle will leave Kicking Horse Resort at 6:45 am on Saturday and 8:15 am on Sunday to the start line in Spirit Square. This is a one-way shuttle. Please be at the Whitetooth Grill (location of Friday's dinner) before the departure time. Friday dinner is included in some registrations or tickets can be purchased separately. Breakfasts are served in your accommodations. Saturday dinner will be at a restaurant in town. All dietary requests can be accommodated - please notify us in advance by emailing registration@goldenultra.com (before September 15). Double occupancy means that you'll be paired with somebody else who also selects the double occupancy package. Email registration@goldenultra.com with a roommate request and if you require separate beds, otherwise you will be randomly matched with somebody else of your gender. Additional nights prior to or after the event may be booked for additional per room, per night rates. Please email registration@goldenultra.com with your requests. There are many other great places to stay in Golden if you're travelling with your own group or support crew. Check out our recommendations here.